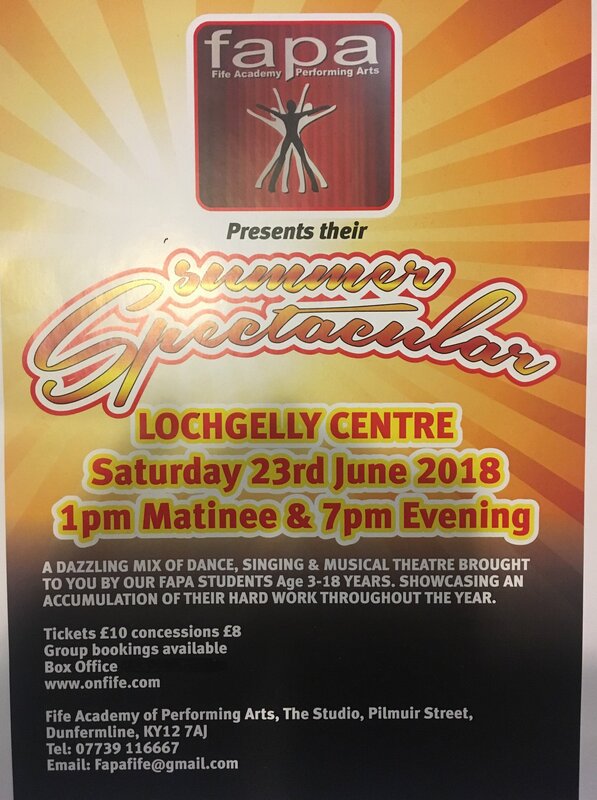 Fife Academy of Performing Arts present their Summer Spectacular for 2018! A dazzling mix of dance, singing & musical theatre brought to you by our FAPA students (age 3-18 years). Showcasing an accumulation of their hard work throughout the year.